Gujarat Secondary and Higher Secondary Education Board (GSEB) has declare 10th standard result Today. Candidates Who Had Appear for this exam can view His/Her Personal Result By Given Below link. 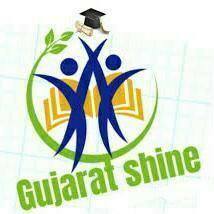 The class 10 exams were conducted in the state from March 15 to March 25, 2017 with the first exam being a language paper of either English or Gujarati. About 11,02,625 candidates appeared for the papers. The board had also arranged the examinations for 142 prisoners in the state. Established in the year 1960, the Gujarat Secondary and Higher Secondary Education Board or GSEB is responsible to conduct examinations and research and development. The GSEB conducts 2 (including 4 semester type examinations) main examinations - The Secondary School Certificate (SSC) exam for Standard 10 and the Higher Secondary (School) Certificate (HSC) examination for Standard XI-XII students in Gujarat. The main academic task of GSEB is the preparation of syllabus for secondary schools and also the recommendation of text-books to be taught in government schools. The Board also performs the duties of recognising new schools, performance evaluation of schools and inspections of various schools associated with the Board. You can also call on a tool free number 1800 233 5500 to know your exam result. You will be able to check result 2017 name wise. How to Check GSEB SSC 2017 Results? Click on GSEB SSC Results 2017. The Gujarat 10th Results 2017 will display on the screen. Download/ Take a printout of Gujarat Board 10th Result 2017 for further reference. View Also : What to do after 10th Class?